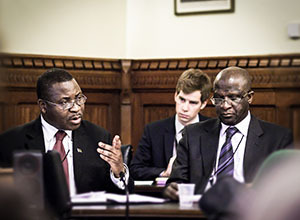 The APPG on Agriculture and Food for Development (APPG AgDev) brings together Parliamentarians concerned with agriculture, nutrition and food security in the developing world. The APPG recognises that a vibrant, resilient and environmentally sustainable agricultural sector is key to development and that agriculture is one of the most effective tools to ensure economic, social and political well-being in developing countries. 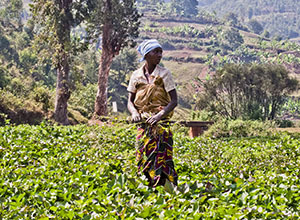 Smallholder farmers are central agents in addressing global hunger, eradicating poverty and increasing national productivity. In recognising this, the APPG uses its cross-party membership to facilitate informed and progressive debate to deepen understanding of the needs, opportunities and challenges of the 500 million smallholder farmers who feed 2 billion people worldwide. The APPG was established in October 2008 in response to growing concerns over heightened food prices and a chronic underfunding of agricultural development by bilateral and multilateral organisations and national governments. Chaired by Jeremy Lefroy MP and co-chaired by Lord Cameron of Dillington, the APPG is a cross-party initiative drawing members from both Houses of the UK Parliament. If you are an MP, Peer or Researcher then more information about the APPG AgDev and how Parliamentarians can get involved is available in this briefing. ➢ To equip UK Parliamentarians with information and evidence about smallholder farmers and the potential of agriculture to raise people out of poverty. ➢ To encourage, support and scrutinise UK government policy and financial support for advancing smallholder farmer agriculture in developing countries. 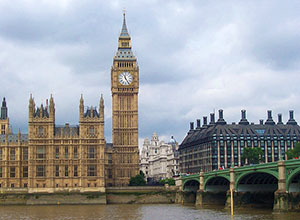 ➢ To connect UK Parliamentarians with a community of civil society groups, business representatives, and academics in the UK and in developing countries to improve policy in this area. The APPG facilitates informed and progressive debate on food and agriculture development issues through events with high-level speakers, briefings, meetings, in-depth inquiries, written reports, newsletters and parliamentary visits to developing countries. Parliamentary Visits have included trips to Ethiopia, India, Sudan, Tanzania, Ghana and, most recently, the Rome-based UN Food and Agriculture agencies.